To his friends and family, he was Malachi Love-Robinson. To his patients, he was “Dr. Love”. The 18-year old Florida teen is currently facing charges of practicing medicine without a license over his operation of a medical clinic. The odd series of events began some time earlier, in January of 2015. Back then, Malachi was going by the name “Dr. Robinson” and was posing as a gynecologist at the St. Mary’s Medical Center. The facade went on for several weeks, with clinic staff initially assuming he was from the local hospital before an OB/GYN saw him enter a room with a patient and called security. The clinic and police declined to file charges over this incident and Malachi was not named in news reports since he was 17 at the time. As far as police could tell, Malachi did not come into contact with patients or care areas during his time at the clinic, save for the one that saw him caught. Speaking to reporters about the arrest, Malachi described the incident as an overreaction to his asking to shadow some physicians. Shortly afterwards, Malachi opened the New Birth New Life Medical Center, which has its own website and Facebook page. The center’s website describes itself as a provider of holistic and alternative medicine, while the HealthGrades.com profile Malachi made for himself describes himself as a “well rounded proffessional” [his spelling] that offers psychology, physiology, air and water therapy, minor orifice-based surgery, and naturopathy. Among the ailments he claimed to be able to treat include ADHD, chronic fatigue syndrome, depression, psychiatric ailments, psychosis, and substance abuse. During the clinic’s operation, it received a citation from the Department of Health in October over being an unlicensed practice, but the disciplinary measure was obviously ignored. Upon being made aware that the clinic was still operating, including complaints that Malachi forged checks stolen from an elderly patient, police began to investigate. 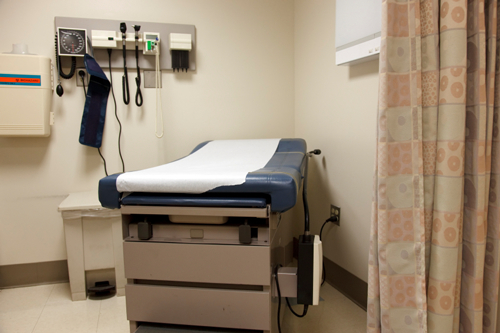 An undercover officer visited the clinic where a physical exam was performed and medical advice was given—enough evidence to arrest the teen. After posting bail on Wednesday, Malachi sat for an interview with Good Morning America. He maintained his innocence the entire time and dismissed the claims against him as only allegations. According to Malachi, he never presented himself as a medical doctor and that he in fact has a PhD—though he declined to elaborate further. When footage was shown of a door sign at the clinic that identified him as an M.D, Malachi said that it was “due to be changed”. Malachi is being held on a $6,000 bail and will be arraigned in the coming days. “Teen Caught Pretending to Be a Doctor at Florida OB/GYN Office,” CBSNews web site, January 19, 2015; http://www.cbsnews.com/news/teen-caught-pretending-to-be-a-doctor-at-florida-obgyn-office/, last accessed February 19, 2016. “About Us,” New Birth New Life Medical Center & Urgent Care, LLC; http://www.nbnlmedicalcenter.com/about-us.html, last accessed February 19, 2016.